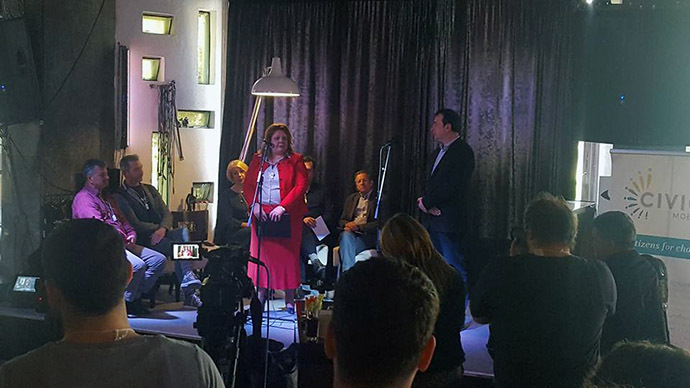 SCOOP, together with the Southeast Europe Coalition on Whistleblower Protection successfully celebrated International Whistleblower Day and Free Speech Day on March 24 in Skopje. NGOs, activists and the media realized the importance of these people and gave strong support. Support also came from the Special Public Prosecutor’s Office whose head Katica Janeva was one of the speakers at the event. – Special Public Prosecutor’s Office (SJO) has continuously been pointing to the need for adoption of Law on Whistleblower Protection as under the current law we cannot offer adequate protection to all who want to cooperate with us in that direction. Citizens rarely decide to indicate a corrupt business and crime due to the fear they have of the consequences of such activity. Therefore we need to encourage them to report such behavior. But the problem is the trust in institutions, that despite the risk of pointing the crime institutions will act under the law. SJO, as an institution responsible for its task, does not deviate and will not give up investigating crime and corruption. We cannot be quiet and close our eyes, every crime needs to be investigated and citizens are aware that it is something of mutual interest in which they are a key part. Whistleblowers were the defendants in the case “Putsch”, who through their press conferences reported corrupt and criminal 10-year reign of the government – said prosecutor Katica Janeva in her speech at today’s conference. According to Mark Worth of the Southeast Europe Coalition on Whistleblower Protection, the first International Whistleblower Day has not accidentally been organized in Skopje, just because of the pressures which journalists have been exposed to and the large number of whistleblowers who have been excommunicated, expelled from work and endure pressures. – Police cannot be everywhere, we do not want it to be everywhere. The media are not everywhere, they cannot be and we do not want them to be everywhere. So that is why whistleblowers are here – said Worth. 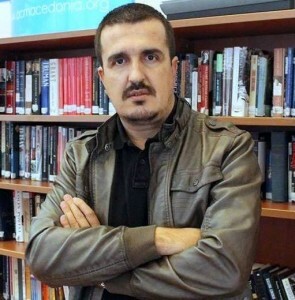 Arjan Dyrmishi, creator of the Law on Whistleblowers in Albania, believes that the collapse of freedom of speech and the image of the country from partly free to not free, according to the index of freedom of speech, is the reason this International Whistleblower Day has been organized exactly in Skopje. – In Macedonia the media have been closed and journalists have been persecuted and jailed. With this we want to give support to stop this trend and Macedonia to restore media freedom – said Dyrmishi. Sladjana Taseva, president of Transparency International Macedonia, recalls that since 2000 it has been indicated what it means to be a whistleblower. – In the first law of 2002 there was a provision that whistleblowers must not suffer consequences. The first whistleblower who discovered the crime in Telecom was fired and suffered many other forms of pressure, and the case that our courts pushed away on the grounds that there was insufficient evidence, is now pending before the courts in the United States – said Taseva. According to Xhabir Deralla from the NGO “Civil”, if whistleblowers, these brave men risk their job and safety, even life, then we as journalists, activists and institutions can at least offer and dedicate our lives to protect them. – I dream the Macedonian society to become a society of whistleblowers. As we have given trust to the people to manage our resources and not just our money but it is money of our ancestors, our children and our grandchildren. The media are a basic tool of social consciousness and conscience and should therefore support the Law on Whistleblowers and the SJO which must not in its research spare journalists working in corrupted media. Macedonian journalism has been deprived of its core – objectivity, freedom, independence. In circumstances where the most influential media are owned by party leaders, businessmen close to the government, we cannot expect much from the Macedonian journalism. Fortunately, we have young fellows, well-read, who travel a lot, non-governmental organizations which give hope, and there is Internet where business cannot put its black paw – said the journalist Zoran Ivanov.